Take the "Tour of South Africa" our unique culinary dining experience that will take you through our most popular appetizers, entrees and dessert for a one-of-a-kind South African experience! Peli Peli offers outside catering for weddings and social events as well as 2 private rooms that seat up to 40 and 120, respectively. For more information please email our event coordinator, Dana Reeves, at danar@pelipeli.com or info@pelipeli.com. 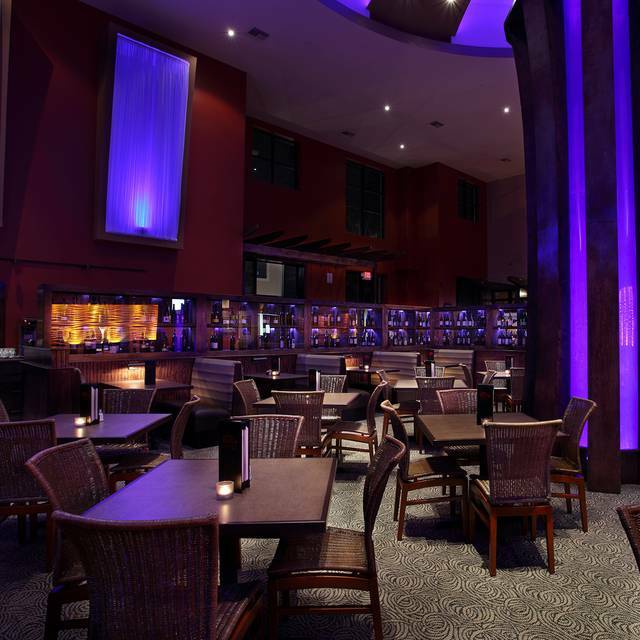 Peli Peli, known for its flavors from around the world, is an award-winning South African concept that features steak, chicken and seafood cuisine by Chef Paul Friedman. A 2013 Award Winner for Top 100 Best American-fare Restaurants in the US (Opentable). Currently ranked #1 out of 7,298 Houston Restaurants on tripadvisor.com. Celebrate Mom with an award-winning brunch featuring flavors from around the world! Brunch favorites with a South African twist! As seen on the Food Network and CNBC and rated top 10 on Tripadvisor & Yelp! Celebrate Father's Day with an award-winning brunch featuring flavors from around the world! Brunch & steak favorites with a South African twist! As seen on the Food Network and CNBC and rated top 10 on Tripadvisor & Yelp! Spend Easter with an award-winning brunch featuring flavors from around the world! Brunch favorites with a South African twist! As seen on the Food Network and CNBC and rated top 10 on Tripadvisor & Yelp! We brought a cousin from NY for her birthday. She loved it. Food and service was exceptional. The restaurant exceeded my expectations. Awesome restaurant. The food is great, the vegetarian plate is fantastic. Good selection of wines. The food was amazing! Our waiter described all the foods, which helped us make our choice on our selection of food. This was not my first visit to Peli Peli. Typically, I do not order salads. I ordered the Peli Peli salad with filet medallions. The meat was tough. The salad bland. Considering the complexity and high level of food quality one receives from the Chef's Choice meals, I expected something elevated...even though it was a salad. I was disappointed. Would suggest sticking to the restaurant's strengths...steaks, seafood, bobotie, sticky toffee puddling. So many things to rave about at Peli Peli. Alas, I cannot recommend the salads. The service was on point. Our seating selection was exactly where we wanted to be located. Great place. Avoid the salads if you have high expections. I went with my husband and another couple for my birthday. The food was awesome and so was the service. I think our server name was Collin, he was pleasant, funny and knowledgeable. We sat on the patio and enjoyed music from the live band in the courtyard. As always, Peli didn't disappoint! The food was behind amazing, but the service was equally outstanding. The waiter and manager were probably the best we’ve ever had. We will most definitely return soon. Thank you!! This restaurant is absolutely amazing! The food, the staff, the atmosphere are all incredible. Cant wait to go back! Incredible food, truly beautiful/romantic ambiance, and fantastic service! The atmosphere was breath taking and the food to die for. Can’t wait to go back. The food was fantastic and unique. We were delighted with the flavors and presentation. This is definitely an experience for your must-do list. We fell in love with Peli Peli the first time we dined there. 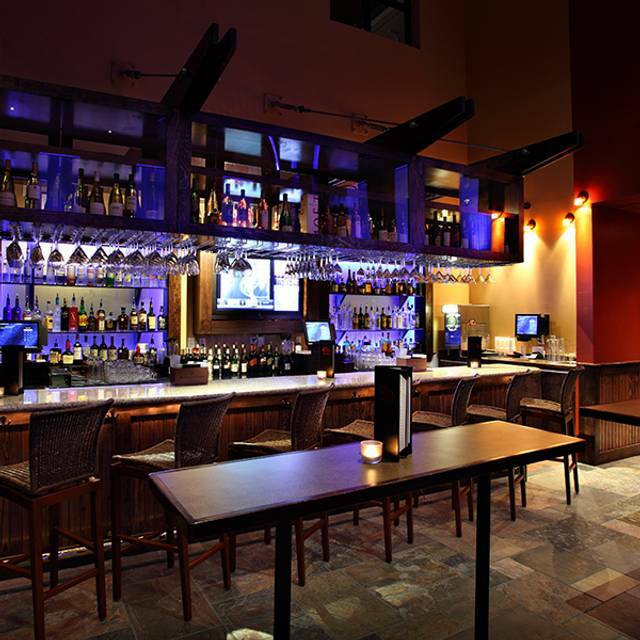 We've since hosted many birthday parties, large business meetings and date nights. This was the first time I couldn't give all stars to the food. I LOVE the carrot breedie, so much so that I order it for BOTH of my sides but this time they were both cold (it was served in 2 dollops on either side of my steak. It seemed like they put the 2 dollops on either side of the plate then cooked the steak. They should have at least kept it in a warmer while the steak cooked. Otherwise everything was delicious and great service. This was an excellent experience. This was our first visit to Peli Peli and everything was perfect from the start. We showed up 30 minutes early and they were very accommodating to get us seated before our reservation. That were very friendly, accommodating and informative about the food, the chef, the layout and history. We tried every recommendation and the food was amazing. If you are looking for something you have never tried before and financially flexible, I highly recommend this restaurant. Absolutely fabulous! Excellent and unique food, great wine that was not the same old same old, and excellent service. Cannot wait to return! The food was excellent when it was received. The service was poor, sometimes 45 minutes passed before seeing our waitress. When dinner was complete we asked for coffee, it arrived cold. When we brought this to the waitresses attention she stated, yes she knew it was cold and had fresh coffee brewing....why would knowingly bring us cold coffee? This was a business dinner with our Distributors visiting from other countries, we were embarrassed. We NEVER tire of visiting this restaurant. Food, service, etc never fail us. Consistent. The best! Excellent place, food presentation, service and ambience. Peli Peli was AMAZING!! We hadn't been here in quite a while, because my husband was not impressed the first time we visited. We decided to give it another try, on the recommendation from a friend. It did not disappoint! The drinks, the food, the staff.....all AMAZING! We will definitely be back sooner rather than later. Great diner and excellent service. We sat outside and listened to music. Very enjoyable!! Very enjoyable experience. Waiter was very helpful and provided excellent service. The hamburgers are great - big, tender, and flavorful. Only negative was that the booth we were seated in was covered with some type cloth that kept slipping. Fantastic dining experience and great ambiance. Wait staff are attentive and knowledgeable. We enjoyed our birthday celebration meal at Peli Peli Vintage Park. The service was great. The food was delicious. The atmosphere was nice...a little on the noisy side during lunch, but otherwise a great experience. I would definitely go back again. It’s an awesome dining experience. The flavors are unbelievable! Definitely try the large appetizer which has everything on it to experience all the flavors. Ambience , what can I say. Our first date was there 5 years ago and I proposed there Saturday night! They even gave us free champagne to celebrate. Nice touch. Thanks again PELI PELI ! Everyone at our table really enjoyed the ambiance, the service and the delicious, "I want to lick my plate" food! We can't wait for their Woodlands location to open and will definitely be back! Everything great except the wait time between our appetizers and entree. Service was great and our waitress was awesome. We started with the South African Sampler and although it was all delicious we liked the Chicken Sosatie best with the jerky coming in a close second. Three of us had the Espetada Almoco and it was so good it would be hard to order anything other than that. The lamb Chops were delicious as there were only clean bones left. The Kingklip with Scallops and Shrimp was a hit as was some kind of exotic burger. Our waiter Bobby went out of his way to help us with gluten free items. There are not enough accolades for Peli Peli! I hadn’t been there in a while so I was very surprised how much the prices went up! $70 for a rib eye! The food was good but not great! It was my husbands 65th Birthday. I told the restaurant when I made the reservation and again when they called to confirm. They didn’t do anything. The table across from us got a dessert with candles. I was going to say something to the waiter but we couldn’t get his attention and my husband said to just forget it. He was already mad because the waiter picked up his drink when he wasn’t looking and my husband wasn’t with it. He only had a few sips left, but it was a$14 drink so every sip is about a buck! I was disappointed because it was NOT the special occasion we hoped for! The food was excellent in terms of favor and presentation. However, it was served a little less than as hot as one might expect. Unsure if this was a result of server delay. I did rate my service experience a little lower because of this fact and because I took my wife here for her birthday which I noted on the reservation but no one acknowledged her birthday during the meal. Made reservation but had to change the time. Called to say we’d be late. Girls at desk acted like they couldn’t find my name/ reservation . Seated us quickly but in a small side room that was noisy. Not fun for a date. Been here several times before. Always happier previously with nicer seating & dining area. This time was a let down in a small, off -to -the -side room I hadn’t even noticed before! Overall a let down and disappointing. It will be difficult to ever return here. Great place. Food is always good. It was for my mother’s birthday. Brunch was exceptional and will definitely be back again soon! The food presentation, was not good, the portions very small, wine price for a glass of Malbec not a great wine $19.00, over priced menu . Over rated restaurant. Amazing dinner and wine as always. Bobby did an excellent job taking care of us as well. My friend and I went for a birthday lunch and had the sea bass special. The fish was delicious, the shrimp was good, but the sea scallops were gritty. Brussels sprouts can't be beat. Service was excellent and birthday meal included a free dessert (sticky toffee cake) which was yummy. Ambiance was nice but a group table was very close to our booth and made for a tight feel and close conversation.